A Skype video call would be a perfect solution, but I know Skype isn't designed for ARM processors. I just need something that can stream video and audio between the Pi and another computer running Linux or Windows. The video only needs to go FROM the Pi, but I would like audio that flows both ways. Is there any way to do this? I could make do with just video, if needed. UV4L driver, on Raspberry Pi 2 now support HTML5 embedded video with very low latency.I have tested it and it works great with HD video, no more flash plugins! Gstreamer pipes, ffmpeg or CVLC! Here are some more documentation about it, compatible with Pi1 also but with a few caveats. 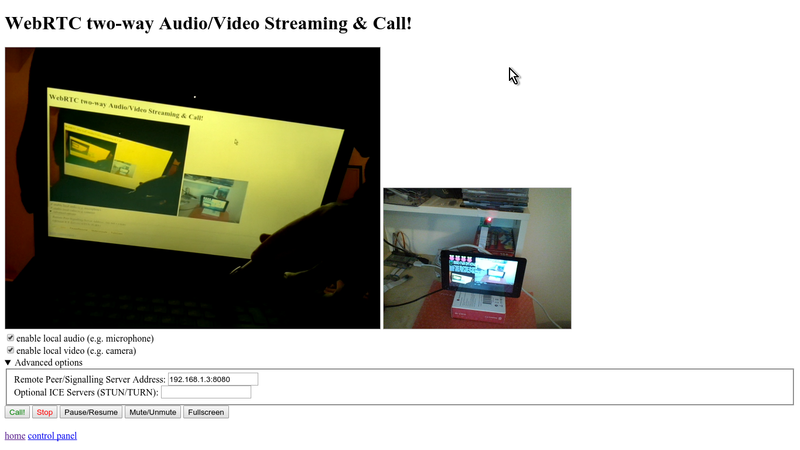 Then from any other device point vlc at rtsp://192.168.0.153:8554/ or whatever your raspberrypi IP is. How to profile code on raspberry pi? How is Raspberry Pi “open source” if it uses ARM? How to simulate Ubuntu ARM image on Raspberry Pi with Virtualbox? How to get 2 threads working properly on a Raspberry Pi?